kingWILLEMSTAD - For the second time this year, the Kingdom Games will be organized in the Dutch Kingdom. 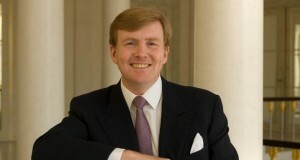 Last year this event was organized for the first time in honor of the coronation of King Willem-Alexander. The king was so excited about this idea that he asked for a repeat of the annual event where children will be made ​​aware of the importance of healthy eating and exercise.